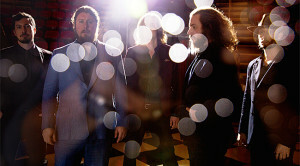 My Morning Jacket has just announced a long-term philanthropy effort called The Waterfall Project. Named after their new The Waterfall album, the project has been established to house the band’s ongoing cause-related work. The band recorded its seventh studio album at Stinson Beach, California. An old black-and-white photo of Yosemite’s Vernal Falls became the record’s vibrant cover art. The album of mid-tempo rock songs commences with the proggy “Believe (Nobody Knows).” Keyboardist Bo Koster called us from his California home to talk about the release and upcoming tour. Talk about The Waterfall Project and its connection to the new album. We made the record and it’s called The Waterfall. We wanted to have some kind of project or initiative to go along with the launch of the new record. We want to raise awareness and we’re taking money from ticket sales and giving them to specific organizations. We’ve always wanted to give back and we feel lucky to play music for a living and feel like it’s our duty as people who have the time and voice and capacity to make a difference. This project is our next step forward. We’ve been doing it for a long time. It’s a way to make it a little bit bigger. So is there a theme running through the album? Were the songs written in one session? We did a couple of long sessions in California and then two or three weeks in Portland then two short sessions in Louisville before we decided we were done. We had so many songs. We recorded maybe 24 songs. We spent a lot of time on it but we did a lot of work and had two records finished by the time we were done. How’d you decide which songs went on this album and which ones will go on the album due out next year? It was a long process. We wanted to make a song the best we could and not think about whether it would be on the record. That can stunt you. We tried to stay in the moment and not judge it. If you’re in the studio judging your work, it’s not conducive to making good art. We had a couple of listening parties and tried to whittle it down to the best record we could make right now. We had games where we all picked ten songs to see where everyone’s favorites were. We started shaping the record there. Once we did that, we had the top 14 that were contenders and related to each other in some shape or form. It was arbitrary and then Jim had another song, “Believe (Nobody Knows),” which really started to solidify things for everyone. Did you try to do something differently with the musical arrangements on this album? I wouldn’t say we were going for anything. That’s like not being in the moment. You can’t control your artistic process. It never works. It does what it does on its own. We’re always trying and open to doing things that are fresh. We don’t want to go over old ground. That’s not exciting to us. It doesn’t make any sense. You don’t want to tell the same story over and over again and make the same sounds. That would be boring. If it’s not boring for us, hopefully, it wont’ be boring for the listener. “Big Decisions” is my favorite tune. I love the vocal performance. Did you get it in one take? We recut that song. The first time we cut it, it was slower and more ethereal. We decided to put more guitars in there. It was a live vocal. Jim’s great at getting these emotional takes in the studio. God bless him. Often, we’re just learning the song or getting comfortable with the tempo and hearing it in our headphones and learning our parts and he’s given three or four really emotional vocal takes that we lose because the band isn’t ready yet. When we recut the song, we all knew it and were ready to play right out of the gate. The vocals were first or second take. You joined the band in 2004 after it had been going for some time. What were your initial impressions of the group? It was like meeting a girl you’re really excited about. You’re like, “I really like this girl and I hope she really likes me.” It’s that whole type of thing. I grew up in Cleveland and moved to Los Angeles and met these guys from Louisville. It was a seminal moment in my musical career. It was interesting in that way. I could never have written it out that way. Go to Cleveland to the big city and find these guys from Louisville, which is kind of like Cleveland but more like its eccentric Southern cousin. What will the set list for the current tour look like? We’ll play a lot of the new record, which will be cool. Most people like the new record and they’re excited to hear the new record. That’s nice. We’ll try to weave the old stuff as best as we can. It’s tough with how many records we’ve made. There are a lot of different fans and hopes for what we’ll play. We try to keep it fresh. We’ve been doing no repeats. At a festival in Mexico, we did three nights with no repeats. That’s like 90 songs. With the new record, we can do even more. The main problem is that we won’t have enough time. For us to really give a good show and show the full breadth of what we can do, we need a good chunk of time. 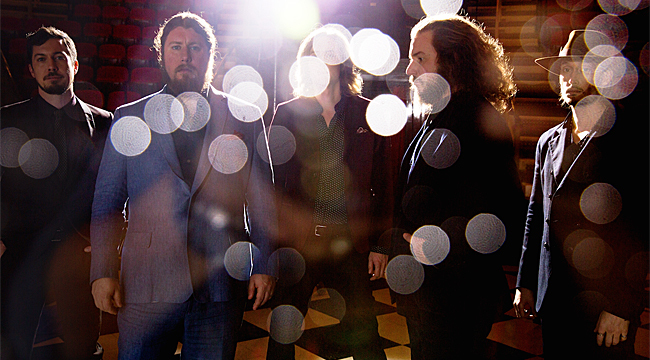 As the band becomes bigger, what do you do to keep in touch with your roots as indie rockers? I don’t know. Your guess is as good as mine. We’ve been doing this for so long now that the whole radio success conundrum has got us confused. An indie rock band is just a bunch of guys who get together and play music for the love of it. Over the years, indie music has become popular but at the core of it we’re just a bunch of guys who love music and love playing. Those guys will always be in us. We’re like our 14-year old selves, freaking out on stage and air guitar-ing in in our bedrooms.